Oregano is a common plant in Mediterranean countries and a common ingredient in many western diets, including the United States. The herb is widely known for its health benefits. Also, it’s a fantastic herb to cook with on pizza and offers many therapeutic benefits. The health benefits of oregano have been known for centuries. The herb was used for medicinal purposes by the Romans and Greeks who also used the symbol of oregano to represent happiness. 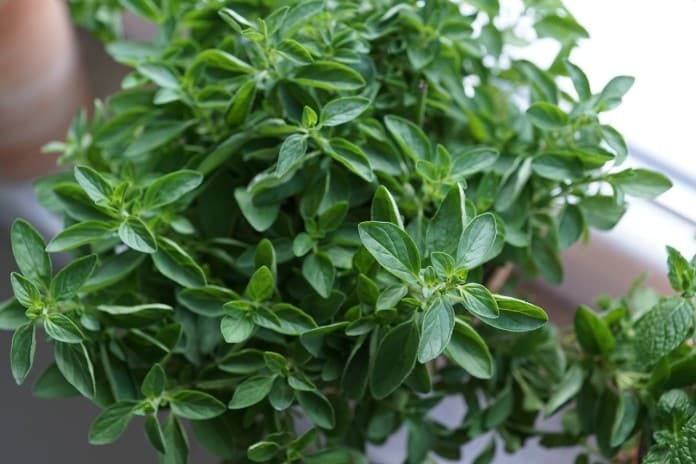 The Vitamin Boost of Oregano: Aside from being a delicious ingredient and seasoning, oregano is a rich natural source of Vitamin K. Vitamin K is a fat-soluble vitamin that helps protects our cardiovascular system and thus provides for overall heart health. Vitamin K also plays a role in bone health making it very useful in combating the symptoms of osteoporosis by removing calcium from your arteries. In addition, Vitamin K is an essential component in the process of blood-clotting. A Source of Essential Minerals: Oregano is also a good source of iron and manganese. Both minerals play an important role in our health. Iron helps carry oxygen through the bloodstream providing a vital role in organ health and red blood cell protection. A healthy balance of iron in the body’s hemoglobin prevents instances of anemia, especially during health-sensitive times like pregnancy. This plant is also a very rich source of Omega 3 fatty acids, that makes it very good for the heart. Oregano is also very rich in fiber. Fibrous foods can help our digestion process work well and it can also make our digestive system healthy. This plant is also proven to be an anti oxidant by some researchers and medical practitioners. Anti-oxidant foods, drinks and supplements can help our body fight the toxins that everyay pollution and harmful food additives gives us. Oregano plant also has anti-bacterial properties.It contains carvacrol and thymol, two of the best properties of oregano that is said to be one of the best on fighting bad bacteria. Carvacrol is also known to have anti-fungal properties. Oregano is also very inexpensive and very easy to grow. But if your not good at growing plants in your backyard or garden, you may opt to buy a commercially available oil that is made from oregano. It has rumors that the oil of oregano can cure so many illness. However, its still best to consult a medical professional before using such products. Always remember that it maybe good for others, but not for everyone. The health benefits of oregano are known to combat different kinds of diseases. It also makes our immune system strong and stable to counter harmful bacteria and viruses that are present in our environment. Lots of people nowadays have compromised immune systems, thats why the current research activity for this kind of plants is very important. People around the world become immune compromised because of so many things, such as food allergies or auto immune diseases like Lupus. and work related problems is number one reason for that, making it inevitable or unavoidable. Its a right timing to ask your doctors if its fine to use such alternative medicines. It may help us live longer, healthier and happier.